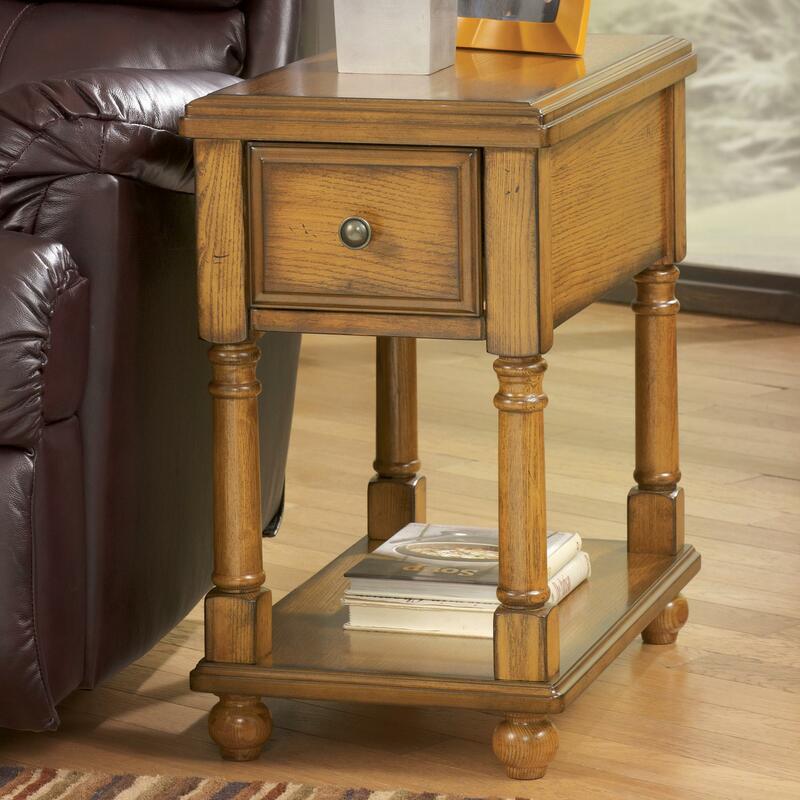 Effortlessly accent your home with this beautifully crafted chairside end table. 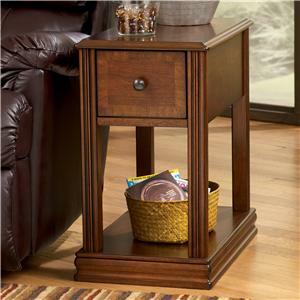 Perfect for completing a homey look next to your recliner, this end table provides ample storage for books, magazines, reading glasses, or home decor. Embellished legs with pillar and ball feet, moulded edges on top and bottom, and a round knob handle provide this end table with enchanting details. 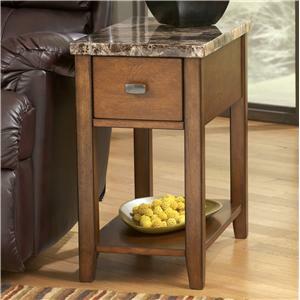 Versatile and functional, this chairside table comes in a variety of styles and finishes to match any home decor. 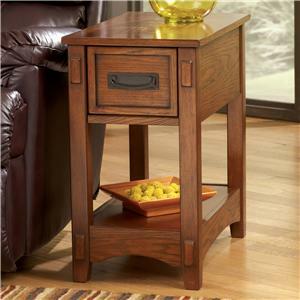 The Breegin Contemporary Brown Holfield Chairside End Table with Drawer and Shelf at Rotmans in the Worcester, Boston, MA, Providence, RI, and New England area. Product availability may vary. Contact us for the most current availability on this product.